1533 - Pope Clement VII ordered Henry VIII to abandon Anne Boleyn and drew up a papal bull excommunicating Henry VIII. Sentence of Clement VII. against Henry VIII., declaring his divorce from Katharine and marriage with Anne Boleyn null ; and pronouncing the King to have incurred the greater excommunication, but suspending the declaration of the same till the end of September. As the King, I suppose, considers that it would only be a waste of time and trouble to try and get me to consent expressly or tacitly to the matters he had proposed to me by his Council, nothing more has been said to me of them, although it had been appointed between the Council and me that they would let me know the King's pleasure. Instead of this, five days after I was with them, the King gave instructions to the chamberlain, almoner, master of the Horse, and secretary of the Queen, and to the purveyor of her house, to make divers remonstrances to her, especially that it came of great arrogance and vainglory on her part to usurp the title of Queen, seeing that she could not pretend ignorance that he had been lawfully divorced from her by the opinions of the chief universities of Christendom, and duly married to another, who had been since crowned ; that she deceived herself in supposing that he would ever in his life take her back as his wife, but that if she would content herself in submitting to things done, and obey his will, he would treat her well,—otherwise he would publish through the kingdom the effort he had made to treat her well, and the obstinacy of her refusal, after which he would punish her as his subject ; and that if she persevered in this obstinacy, she would create parties in the kingdom, and confusion in the succession, from which would arise enormous bloodshed and great destruction of the kingdom, to the burden of her conscience. Moreover, that if she persisted the King would ill-treat the Princess ; and those who spoke of it, and all her other servants, would incur the King's indignation. To all these dreadful temptations or adjurations the Queen replied openly and courageously, that as she knew assuredly she was the King's true wife, she would never call herself otherwise than Queen, or answer to any other name, to any person in the world ; and that this course must not be attributed to arrogance or vainglory, for she would be much more proud to be called the daughter of her father and mother than to be the greatest queen in the world, if she could not conscientiously use the title. As to the unjust sentence of the archbishop of Canterbury, the intrigues to purchase the opinions of the universities, the form of this clandestine and accursed marriage, she declared the whole mystery at full length. As to the King not taking her back, she had perfect confidence that He who in a moment converted St. Paul, and turned him from a persecutor into a preacher, would inspire the King's conscience, and not permit such a virtuous prince long to continue in error, to the slander of Christendom and ecclesiastical authority. As to the division of the kingdom, and the confusion of the succession, those only were to blame who had persuaded this new marriage, because the King had already lawful succession acknowledged by the whole kingdom ; and from such an abominable marriage there could only arise a perverse offspring, which would throw all into confusion that allowed it to reign. As to the publication of which they spoke, she would very much desire that not only all the kingdom but all the world knew that she would not consent to things so unjust, or to be treated otherwise than as Queen. As to the punishment with which they threatened her, if she had offended the King, he might punish her as his wife, but not otherwise, except wilfully and by force ; for unless she was his wife, all the world knew what submission he could claim from her. As to the Princess, the King being her father could do what he pleased. No doubt she would be sorry to see her ill-treated, and also that her servants should incur the King's indignation ; but neither for that, nor for any death, would she damn her soul or that of the King her husband. When the King understood that the Queen would not submit to his demand, without waiting for the full report, he caused to be printed and published through the city, by sound of trumpets, the edict of which I send a copy translated to your Majesty. He has since caused to come hither the persons named in the above instruction, to redeliver to them, as they think, a charge upon the said commission, or else to suborn them from the service of the Queen. Till now nothing has been said to them, except that Cromwell has thanked them on the King's behalf for the good service they have done in their charge, and desired them to wait awhile for the determination of the order to be taken in the Queen's matters ; and even Cromwell was unable to refrain from saying to them that it was impossible to make a more virtuous and prudent answer than the Queen had done, and that God and nature had done her great injury that she had no male issue, for she had surpassed in glory and reputation nearly all the princes one reads of. God grant that the treatment they give her may correspond to these praises and her merits. A courier arrived from Rome eight days ago, bringing news, as I understand, that the King's excusator at Rome had been forbidden to interfere in the process ; on which news the King had despatched two couriers in two days. It is said they carry the originals of the determinations of the universities, the sentence of the archbishop of Canterbury, and an appeal to the Council against the exclusion of the excusator, hoping by this means to hinder the effect of the sentence. I understand the Lady complains daily of the Easterlings, who on the day of her entry had set the Imperial eagle predominant over the King's arms and hers ; and also that through the villages where the Princess passed the other day they made her great festivity, which is as if God had descended from Heaven. The Lady is very much displeased, and would like much to punish the people. This may serve as an indication of her perverse and malicious nature. The truce is not yet settled with the Scots, for all the English have reported. The Scots made a raid on the 13th ult. a long way into this kingdom, and, besides other robberies, burnt two villages. The Pope has written to the Nuncio that since things were getting so bad here, and he had so great a desire to withdraw, he might take leave of the King under pretence of visiting his Holiness at Nice, or some other excuse. This he has done, and has received great presents ; the King being very glad that he is to be at the said meeting, for the great confidence the English have in him, as I lately wrote. 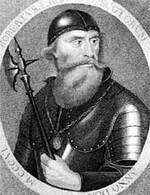 The King, at the request of an Irish lord named ... who has some dispute with his neighbours, is sending him artillery and ammunition. Eight months ago, as I wrote, he had a great notion of casting a quantity of artillery of every kind ; and for this great preparation was made, both in getting supplies of metal and making moulds, but only one piece has been cast, and nothing more has been said of it, as the founders themselves have informed me. This very instant I have received your letters of the 19th ult. with the documents therein mentioned, of which I shall immediately inform the Queen. They will be a great consolation to her. London, 11 July 1533. "Relacion de lo que ha pasado sobre la causa de la Serenisima Reyna de Ynglaterra." When the Pope returned from Bologna, the English labored for the revocation of the two briefs against the King, and the Emperor's agents opposed it. The Pope committed the matter to cardinals Monte and Campeggio, to Simoneta and Paul de Capisuchis, auditors of the Rota, and to the Datary, who decided against the English. At this time the count of Cifuentes arrived at the Court. In a few days news came that the king of England had married Ana, and it was determined to let him know that he had incurred the censures and penalties mentioned in the briefs. On the other side, five remissorias were presented for the principal matter, but no more, on account of the nearness of the vacation. At the arrival of Rodrigo d'Avalos, the Count and he gave the Pope the Emperor's letter, and in consequence of their representations he ordered Paul de Capisuchis to report (refiriese) the cause in Consistory. This he did in three Consistories. His Holiness also ordered the Rota to examine everything. All the cardinals and auditors of the Rota were informed, as many doubts were urged by the English, and some of the cardinals were French, and inclined to England. Finally, the Consistory decided in favor of the Queen, and that the prohibition in this case was not de jure divino. At this juncture, when a sentence for the Queen was inevitable, two days before the last Consistory, the English alleged that the King had examined witnesses when the case was before the Legates, who had not been produced at Rome, and that the Pope could not determine the case without seeing the whole process. To this it was replied that the Queen had sent the whole process up to the time she appealed, and no further proceedings could be received. The Queen not only appealed, but committed the cause anew against the King, per viam querelœ super molestationibus et matrimonio, by virtue of which the King was cited afresh, and the cause was instructa, so that what is said about having more process does not hinder the expedition. Even supposing that those witnesses were examined, which is not certain, except that the Pope says Campeggio told him that witnesses were examined, it was said that they could not prove anything to impeach the lawfulness of the Queen's marriage. Supposing that the prohibition of marriage with a brother's widow is not de jure divino, it is clear that although witnesses might prove that the marriage with Arthur was consummated ; that Henry was a minor when the dispensation was obtained, and protested on arriving at puberty that he would not marry Katharine, and that he did not consider the dispensation valid ; and that there were no wars nor fear of wars ; all this is not to the point, as the dispensation was granted by Julius "pro pace conservanda," and this cause was true. It cannot be denied that the second marriage cemented the peace and alliance. The remisorias already proved show sufficient cause for a dispensation, even if the marriage was prohibited by divine law, which it is not. If it cannot be proved that Katharine was a virgin when she married the King, it cannot be denied that it is doubtful ; and the present marriage being public, notorious, and consummated, cannot be dissolved on account of the former, of which the consummation cannot be proved. Even if the prohibition was de jure divino, the dispensation was good. The King has acted on it for many years, and deprived himself of the right of protestation against it. For these and many other reasons, the Pope may very well decide the case with satisfaction to his honor and conscience. But it is thought the Pope and Cardinals have wished to desist (sobreser) in the expedition of the principal cause, as they clearly showed before this doubt about the process was urged. Seeing this deliberation, another way (verso) was taken to revoke ex officio pastorali all that the king of England had done to the prejudice of the Queen. On the 11th of this July, the Pope in Consistory pronounced a sentence restoring the Queen to her royal state, annulling the King's marriage with Ana, whose children are declared illegitimate, and declaring that the King is excommunicate, and has incurred the penalties contained in the briefs. The Queen's agents, seeing that the principal cause was not despatched in the last Consistory, presented the other remisorias, that matters might be arranged during the vacation, and the expedition insisted on at the next audiences. It is thought it will be shortly obtained. A term was assigned to the King, until 1 Oct., for him to present any processes or writings of which he intends to make use. Having received three days ago letters from the king of the Romans, in which no mention was made of the detention of prothonotary Casale, I sent to tell Cromwell that what he had notified to me must either be a fiction or a thing done without the said King's knowledge. Cromwell replied that whether the said Prothonotary was detained or not, in consequence of what I had said he attached no importance to it, and even if the said King had hanged him he would not care a button; and it would be a good thing for the King his master, who would save the money which he was spending uselessly in the maintenance of the said Prothonotary. After saying this Cromwell made long representations to my messenger of the great advantage that would come of perfect friendship between your Majesty and the King his master, and urged him to exhort me to promote it in every possible way. I know not if these English are temporising, awaiting the success of your Majesty's army. I think also they have some hope of gaining the French to their minds, although they do not make any great show of attempting it, seeing the cool reception they gave to the bishop of Therbes when he was at Court the other day. The Bishop expected to remain at Bridewell, where the French ambassadors have resided for five years, but he was respectfully informed that he must remove. Cromwell had twice appointed an hour to the said Bishop and Morette, but when the hour came he was not at home; which is sufficient indication that affairs do not go smoothly between them. Moreover, Morette told the grand prior of St. John's, when he came to take leave of him, that, considering the time it cost, he had better not visit the said Bishop, or have great communication with him. The King, I am told, will despatch, a few days hence, his Treasurer [and] Controller to examine and fortify Calais and Guisnes for fear of the French; yet the King does not seem to be very much afraid either of Frenchmen or others, for he is more given to matters of dancing and of ladies than he ever was. Some say the said two persons will pass into France; nevertheless, I believe "que lung et lautre voage seront a limpur(?)." There will leave within two days a doctor and a gentleman whom this King has dispatched to Lubeck. Some tell me it is for the purpose of settling the disputes of the said city. I suspect it is an intrigue to prevent the Count Palatine aspiring to the kingdom of Denmark. The good old lord of whom I have written sent to me the other day his cousin, when he was about to go home, and begged me, for his own part and that of many others, to solicit of your Majesty to obtain executorials, and cause them to be executed in your Majesty's countries. Even if no other means were taken, he thought this would do good, provided the said executorials were not delayed, otherwise the new preachers and prelates will subvert the whole people. He says, moreover, that churchmen will make a beginning, and, meanwhile, they might find means to get hold of the great treasure the King keeps at his house in this town. London, 11 July 1535. 1536- Dr. Ortiz to the Empress Isabella. Wrote last 26 June with the news his Holiness had from England. 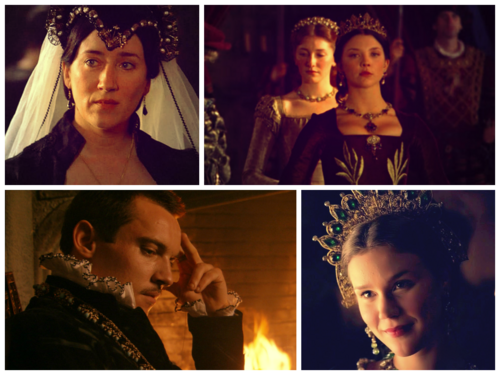 The ambassador now writes 10 June that the Princess is well and anxious to be reconciled to her father; that the parliament began on the 7th, and was inclined to treat the daughter of Anne Boleyn as illegitimate. The day after Anne Boleyn's execution, the King married a lady of hers named Juana Semey at her house, and three days after took her to his palace; from whence in other three days, he published that he was married to her, and ordered festivities. 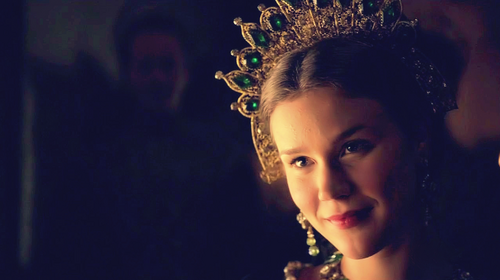 The ambassador writes that she was a maid of the late Queen, and afterwards of Anne Boleyn; that she is virtuous and kindly and welldisposed to the Princess, in whose favor she has spoken to the King, and that there were hopes of her being declared true heir in the parliament. The Pope hears through France that Francis is endeavouring to marry the Dauphin with the Princess. The king of Scotland has also married with a lady of his kingdom. The cardinal of Sancta Cruz, though despatched; by his Holiness and the Consistory, has not yet left to go to the king of the Romans, awaiting an answer from his Highness. Hopes the Emperor's successes will not meet with any reverse. Rome, 11 July 1536. 1540-Anne of Cleves to Henry VIII.